I can’t figure how to get it. Would love to show some support! I got mine yesterday automatically pushed to the watch app under Face Gallery. But I suppose everyone should receive it?? It simply just appeared with a '1' badge at the face gallery. Make sure your Watch OS is updated to the latest version. 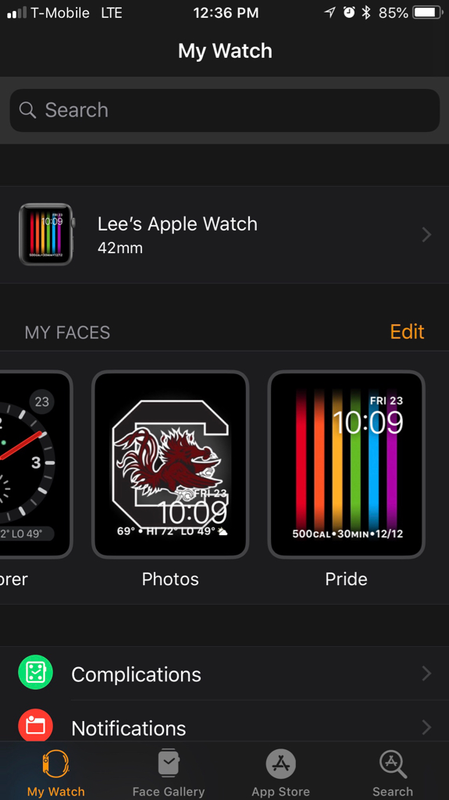 The pride watch face is only available on watchOS 5, which is currently only available in beta to those with developer accounts. watchOS 5 should be available to everyone in September. Incorrect. 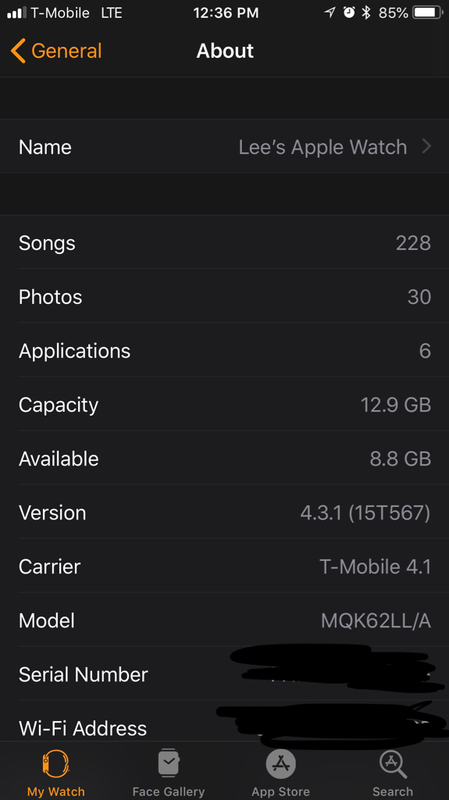 I’m currently using the Pride watch face now and I’m on 4.3.1 with no developer account as well. doogald, Annie_8plus and AppleKarma like this. Annie_8plus and AppleKarma like this. I noticed it yesterday when I was using the Watch app on my phone. Like @Snoweagle said, there was a red icon with a 1 in it on the Face Gallery. My iPhone 8 Plus is on stock 11.4 and my watch is on stock 4.3.1, and I have the Pride watch face. I was watching the event live and when I saw it mentioned I looked at my watch app and there it was. So there you have it, the Pride watch face is available now and all users on iOS 11.4 and watchOS 4.3.1 will definitely receive it. It looks pretty cool though, and matches the new Pride strap really well...but I'm not sure if I should get it as it's a little too flamboyant. Yes, I was only half paying attention to the keynote. No issues there. I didn’t even watch the keynote, just happen that I opened up the watch app and saw the notification badge. I still don’t have it. I restarted both my watch and phone. Both are on the public beta. My wife’s phone and watch are on the latest public beta as well and has the pride watch face. I guess apple doesn’t want me to have it. I will join the I don't have it either wagon. Rebooted both devices. Not too concerned though. Doesn't fit my style or preference of watch faces. Most, it not all, the available watch faces don't appeal to me. Modular is the only one I use. I'm pretty sure it has to do with Public Betas. I don't have it either. I’m running the first developer beta of both iOS 12 and watchOS 5 and the rainbow watch face is present in the watch app via the face gallery option. I have a Series 2 paired with my 7 Plus and also have the Pride watch face available. Here's how to get the new Pride Edition Apple Watch face! The 10 best cases to rep your American pride this 4th of July! You can now order the Pride Edition Apple Watch band!